It comes as no surprise to how ubiquitous and prevalent the internet is in our lives right now. The level of technology that has pushed the boundaries of globalization and how we communicate on a daily basis has certainly come a long way since it first began. The internet started out as the global system for interconnected computer networks that use a specific protocol i.e. the Internet Protocol, which is a number not unlike telephone numbers that in turn link one device to another. It is thus a network of networks and initially, when logging onto the net through a server, numerical addresses were used to identify one network from another. Its rapid growth necessitated a domain name system, which was first introduced in 1983. Thus, a domain name is a proxy of an IP address where it functions as an identifier to locate or recognize Internet resources, such as computers, networks, and services, with a text-based label that is easier to memorize than the numerical addresses then used in the Internet protocols. (b) a group of seven generic top level domains (gTLD). The country code domains were derived from the 2-character territory codes of a country’s abbreviation, which is “.my” for Malaysia. The original seven generic domains were “.gov”, “.edu”, “.com”, “.mil”, “.org”, “.net” and “.int”. As the internet grew and expanded exponentially, the Internet Corporation for Assigned Names and Numbers (ICANN) was established in 1998. Its duties include administering registries of Internet protocol identifiers. Unlike telephone numbers, domain names ending in “.com” are unique for the entire world. It is therefore essential to have an easy-to-remember domain name. These two factors, along with the glittering promise of booming business on the Internet, have fueled the drive for domain names. In other words, once a good name is gone, it’s gone for good. As a byproduct of domain name registration, a lot of businesses and companies have a tendency to use their trade marks or brands as a domain name. This, however, does not come without any challenges and one of ICANN’s core tasks initially was to manage the trade mark dilemma, whereby there had been prolific use and registration of trade marks as domain names, more often than not by parties who are not the owner of said trade marks. In the landmark case of British Telecommunications plc v One in a Million Ltd  1 WLR 903, the Court of Appeal described such domain names as “an instrument of fraud”. From an IP perspective, the misappropriation of domain names may be categorized into cybersquatting, typosquatting and parasites. Cybersquatting is the act of registering or using an internet domain name that utilizes one party’s trade mark with the intention to re-sell the said domain name at a highly inflated price. Typosquatting differs in that it relies on the typographical errors that may be made by internet users when they input a website address into a browser. This can range from common misspelling of words or genuine typographical mistakes by the users or even a differently phrased domain names. Examples include a common misspelling of the intended sites. Similarly parasite owners also expect to gain financially but such gain is expected through the use of the offending domain name. In 1999, ICANN introduced the Uniform Dispute Resolution Policy (UDRP) which was the first global alternative disputes resolution policy to protect trade mark owners against the perpetrators of cybersquatting and the like. 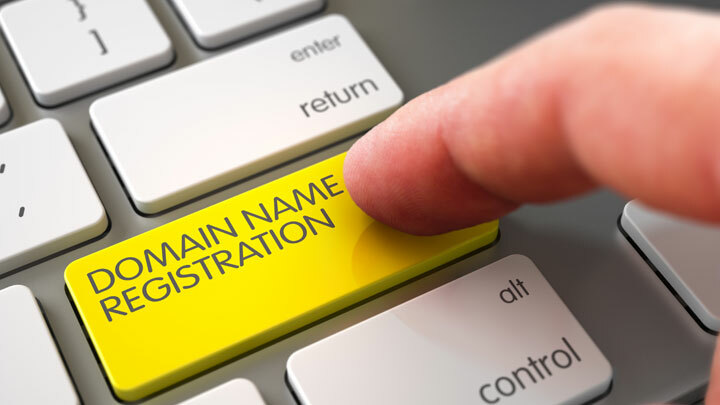 A registrant bears the responsibility of making proper representation that when it chooses a domain name that it will not impinge on any third party’s rights. In the event that it does, the registrant must further submit to the mandatory requirement that it will agree to participate in an arbitration-like proceeding should any third party assert such a claim. The goal of the UDRP was to create a streamlined process for resolving such disputes. It was envisioned that this process would be quicker and less expensive than a legal suit against the registrant. In most instances, disputes are settled in no more than 2-3 months at a fraction of the cost it would take for legal proceedings. In the event of an unsatisfactory outcome, a complainant may still bring a civil action against the domain name registrant in the various jurisdictions. Since its introduction, the UDRP may be regarded as a success as the dispute resolution policy gives a speedy outcome to brand owners whose trade marks or brands have been used as a domain name by unscrupulous registrants. However, with the introduction of the new gTLD program by ICANN, it can be said that the dynamics of the UDRP will definitely change. This is because from a mere 22 generic top level domains that have been in operation all these years, ICANN has now approved or delegated nearly 1200 new generic top level domains such as “.ferrari”, “.intel”, “.lifestye”, “.equipment”. As a result of this expansion, new additional rights protection mechanisms have been introduced such as the Uniform Rapid Suspension (URS), which was designed as a complement to the UDRP. It was chosen to afford and provide trade mark owners with a quick and low cost process to take down any websites that infringe on their intellectual property rights as well as to combat cybersquatting. There is also the Trade Mark Clearing House, a global database of verified trade mark information to support rights protection process. All these measures are part of ICANN’s new policy development process. As we move towards the new year 2017, it will be interesting to note if ICANN’s policy development process will be a triumphant call for trade mark owners but one thing is for sure, the internet world will never be, technologically speaking, the same again.